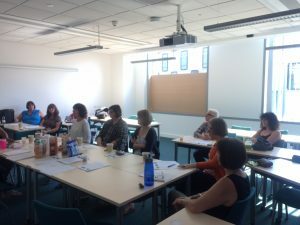 …were had at our first round of focus groups held yesterday to help develop the State of Women’s Health in Leeds report. 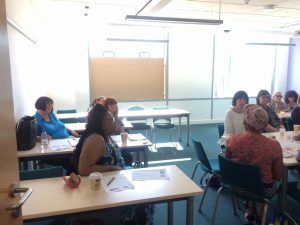 We held two focus groups with diverse groups of 19 women, giving them the opportunity to discuss challenges they face around their health and well-being. The key themes that came out of the discussions were communication, information and choice. The increasing availability of cheap and unhealthy food was highlighted as having a big impact on women’s health and well-being, it was discussed how education around healthier options and cooking on a budget would be beneficial to support women feeding their families. They talked about women’s needs and the barriers to them accessing services to support these. Long waiting lists were identified as a major barrier to women and girls getting the support they need. Language was also singled out as one of the biggest barriers – not only for women who have English as a second language, but also vulnerable women who have difficulties reading and writing. The women agreed that our healthcare and welfare systems could be complicated enough for someone who has English as their first language and do not have particular difficulties reading and writing, that it was easy to imagine how complicated the systems could be to use for others. 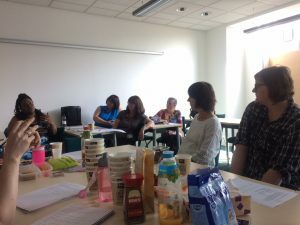 They suggested that jargon-free communication and an increase in ESOL (English for Speakers of Other Languages) provision above level 2 could contribute to improving access for women across Leeds. One of the key challenges the women identified was knowing (or not knowing in most cases) about what services are available. At Women’s Lives Leeds we are aware that there was no single place for a woman to find out what support is available, which is why we have developed our Online Directory of Services for Women and Girls. We know that this is not the only answer but we hope it will go some way in raising awareness of support that is available. All of the women agreed that often word-of-mouth is the best way to share information about support and services, but sharing this with the most vulnerable women can be a big challenge. Community development and engagement were identified as one of the most effective ways of raising awareness and engaging women, particularly vulnerable, newly arrived or isolated women. Issues that are unique to women – menstruation and the menopause – were also discussed. The stigma that is associated to these subjects and the fact that they are often not discussed has added to the difficulties women face when experiencing these. It was agreed that neither of these should be only a ‘woman’s’ issue, that this further stigmatises the topics and can prevent women from seeking help during what can be a painful and isolating experience. This is a brief overview of the conversations had and some of the incredible insight that we collected throughout the day. We used dictaphones to record the sessions and these have now gone to a Phd student at Leeds Beckett University to transcribe. We have other focus groups coming up over the next couple of months to speak to other women and collect more voices and experiences. If you are interested in getting involved then get in touch.